"Supposed to sound like that?" Nestled in the Crieve Hall community is a home studio called The Grey Matter…I mean The Grey Area. Brandon never got it right. Thomas was slammed mixing three records at the time, so your guides took a field trip. You’ve heard Thomas’s mixes on the road from Drew Holcomb & The Neighbors, Colony House, Matt Kearney, Ben Rector, Ingrid Michaelson, American Authors, and Third Day. He also tour managed these acts at the same time as well as other job shares. Geez! Thomas wasn’t born in the industry, but rather he comes from West Texas. So how did a Texan native navigate the deserts to find his way in to the bus bunks of great artists and before hitting his mid 20’s? Well listen and find out ya dingus! What we will tell you is that his story is very similar to your story. Distraught from not getting his 1st pick college audition, Thomas chose to go to a “smaller” school and he attributes that to a lot of his current success. Thomas later took a chance working his first tour managing gig for 50 bucks. By his own admission he’ll advise you kids not to do that, but since then hundreds of thousands of fans have heard his mixes. Thomas is an excellent communicator. In this episode he explains why he loves and passionately excels at his job(s), and he describes them in a way that will make you passionate about your job. 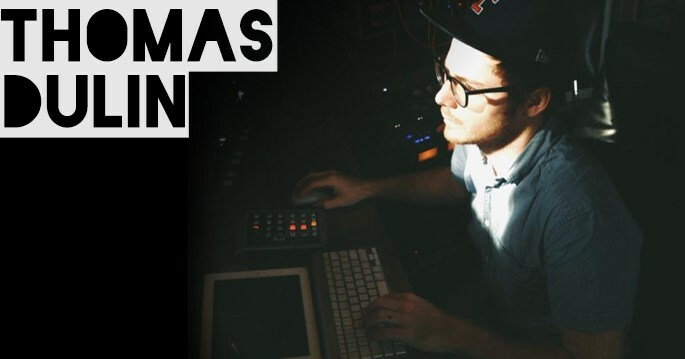 Currently, Thomas is in a transition in life, taking in mixing projects and producing records in Nashville. This episode is for the kid figuring out if school is for them, for the road manager wanting to know some tips on managing the road and their artist, and those anting some insight on how to handle tough and challenging situations on the road. Listen to Thomas’s negotiation skills in his bit, “Let’s Make A Deal.” Learn and gain some insight on Thomas’ career journey and apply it to your journey. Anybody going through a career transition? Thomas is doing it, and killing it! Jason just couldn’t get past if it was…SUPPOSED TO SOUND LIKE THAT?